This jigsaw puzzle features the Sydney Opera House, a beautiful performing arts center located in Sydney, Australia that houses multiple performance venues. The plans for the Sydney Opera House were started during the late 1940s, and its modern expressionist design was finally completed in 1973. 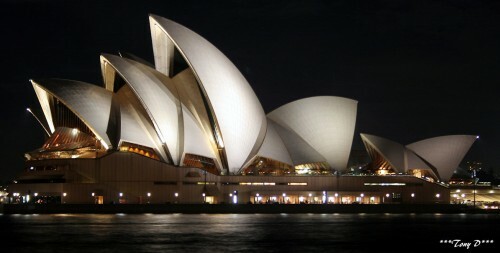 The Sydney Opera House located on Bennelong Point in the Sydney Harbor. This is one of the busiest performing arts centers in the world, with more than 1,500 performances a year, and over 1.2 million people in attendance annually. Tours are available to learn more about this magnificent piece of architecture and to see its stunning beauty up close in person. Credit: Special thanks to tkcrash123 for making the photograph used for this jigsaw puzzle available through the Creative Commons Attribution license. Visit tkcrash123's Flickr photostream. See all jigsaw puzzles based on tkcrash123's photographs.